St. John's Univeristy School of Law, J.D. 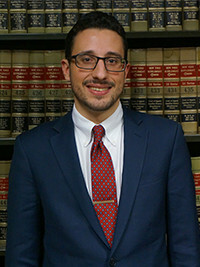 ANASTASIOS N. FLOKAS joined MDAF as an associate in 2017. Prior to joining the firm, Mr. Flokas worked at an established insurance defense firm. Mr. Flokas currently focuses his practice on defending claims involving premises liability, security issues, construction/Labor Law and property loss cases.